As part of a virtual team, you may be called upon to work with people scattered across a wide geographic area. When that area crosses international borders, simple phone calls suddenly become more complicated. Hosting an international conference call is one way to facilitate global collaboration amongst your globally diverse team. Here’s a quick look at how you can use international conference calling without spending a fortune. Start by signing up for an international conference calling plan. These plans are available on a no-contract, pay-as-you-go basis. By choosing a no-contract plan, you have the flexibility you need without getting locked into a yearly service that you may or may not need. Schedule an international conference call. You can schedule your calls in advance or hold an impromptu international conference call if desired. Once your call is scheduled, you’ll need to let your virtual team members know which phone number to call in order to join the conference. With an international conference call, participants receive a local or toll free number to call that is specific to their countries. 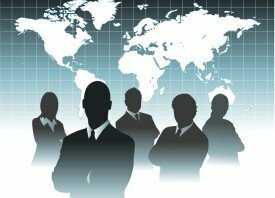 This addresses several concerns your team members may have about joining an international conference call. For example, the phone number will be local to each individual; no one needs an operator to help them connect to your call. In addition, your team members won’t need to worry about incurring expensive international long distance charges on their personal phones (the host of a toll free international conference call call typically pays for the call). Hold the international conference call. At the appointed time, everyone dials their assigned phone number, enters an access code, and collaborates. Optionally, you can set up the system to automatically dial participants. Moderator dial out features are useful in several ways. For example, not only can you preprogram participants’ phone numbers into the system and initiate automatic dial out, you can also dial some participants individually in order to take advantage of lower per minute calling rates. This simple act could save you nearly 20 cents per minute depending on the countries involved. Moderator dial out also helps to ensure that no one forgets about the call. In addition to selecting an international conference calling plan on a no-contract, pay-as-you-go basis, you can reduce your global collaboration costs by actively managing your conference. Use the tips below to squeeze the most value out of each international conference call you host. 1 Create and follow an agenda. Agendas are a terrific time management tool that help keep meetings and teleconferences on track. Using an agenda forces you to determine what to discuss and how long to discuss it. In order for an agenda to keep a teleconference from going over its time limit, you must actively follow it. Use a stopwatch, clock, or timer to time each segment of your international conference call. When the time limit is reached, move to the next agenda item. Leave a few minutes at the end of the teleconference for questions or to further discuss items that ran out of time. 2 Invite the right people. Because you pay for an international conference call per minute, per participant, you’ll want to make sure that you’re inviting the right people to attend. While your virtual team may consist of 20 members, is it necessary for the entire team to join every conference call you hold? For example, if you need to hold a conference call to brainstorm ideas for your company blog, your accountant, office manager, and legal advisor may not need to attend. 3 Record your teleconferences. If you decide that it’s not necessary for every team member to join your live international conference call, consider recording the call and making it available to the other team members to listen to at their leisure. Call recordings are also useful for participants who missed the live call or who live in time zones where live attendance would have been impractical. 4 Ask participants to use landlines rather than mobile phones. Calling rates are generally less expensive for traditional landlines than they are from mobile phones. If your virtual team is on a budget, asking participants to call from a landline instead of a cell phone is one way to reduce your call’s cost. You can check rates online to see which countries have the largest gap between landline and mobile phone rates. Global collaboration using an international conference call is an affordable way for virtual teams to communicate. Affordable, no-contract plans are available loaded with desirable conferencing features including moderator dial out and MP3 call recording. How will your virtual team put international conference call to good use?